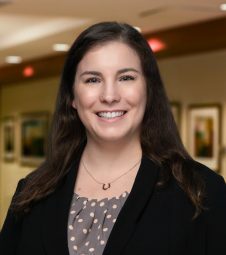 Robin Mallory joined Adelberg Rudow in 2018. She is assigned to the Estates and Trusts practice area where she focuses on the preparation and filing of all documents relating to the probate administration of estates. She has been involved in the legal profession for sixteen years and has concentrated in the area of Estates and Trusts for the last twelve years. Robin also has experience in the areas of personal injury, social security disability, estate planning and corporate matters. Ms. Mallory is actively involved in the sports activities of her two children.